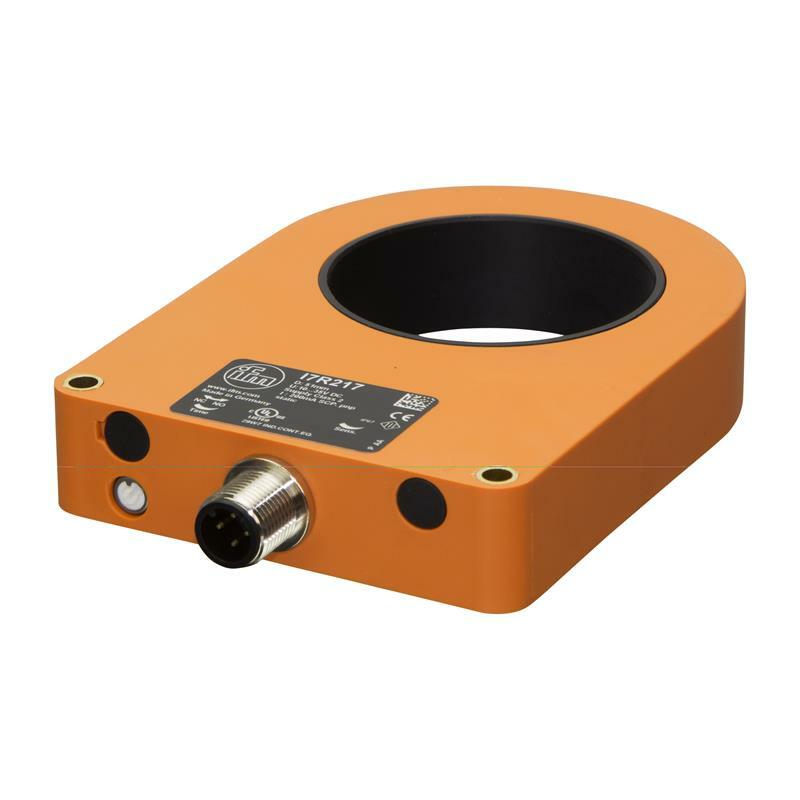 The inductive ring sensor I7R217 - I7R3051-FPKG/US-100-IPF from ifm has a dirt-resistant housing with the high degree of protection IP67 and a metal connector. The device is protected against overload, short circuit and reverse polarity . The NO/NC contact is programmable. The ring diameter is 51 mm. 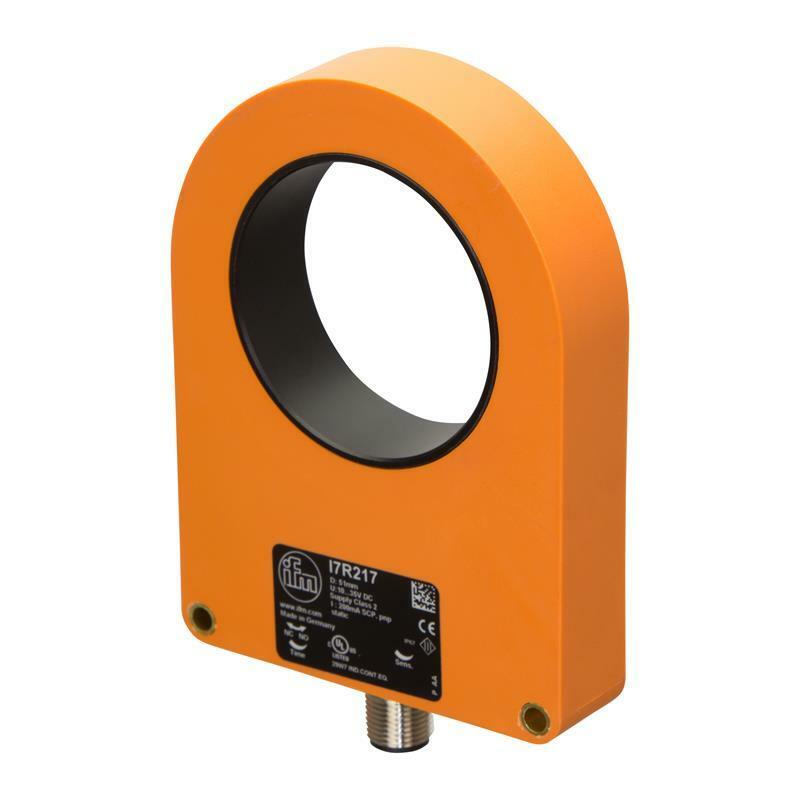 The inductive ring sensor I7R217 - I7R3051-FPKG/US-100-IPF has a high resolution (steel ball (Ø) 6 mm) with a short response time and works according to the static operating principle. The inductive ring sensor I7R217 - I7R3051-FPKG/US-100-IPF with M12 connector is suitable for parts detection and congestion control in feed tubes.